The Papua New Guinea's National Fisheries Authority (NFA) is looking to increase the quota of fish landed onshore and which are being processed in the country. 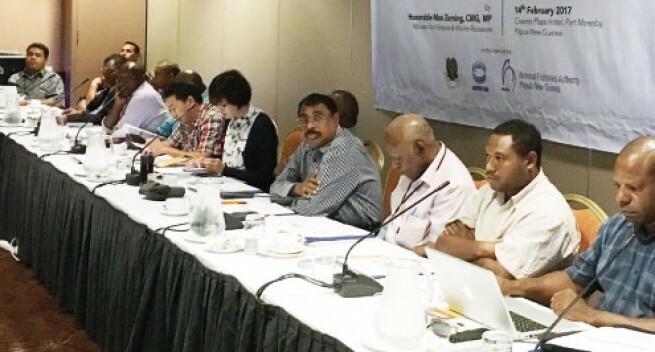 NFA estimates about 30 percent of the fish caught in Papua New Guinea’s waters are being landed onshore according to its managing director John Kasu. To begin this process, NFA yesterday hosted a day-long meeting with its partners from the private sector as well as its bilateral partners which include Japan, Philippines and Taiwan. The day long consultative dialogue which was held in Port Moresby, under the theme “Harnessing Working Relationship with the Fishing Industry for General Sustainable Management and Development of PNG Fisheries and Marine Resources”. Mr Kasu said from the outset, fisheries and more particularly tuna, remained the largest earner in the industry not just in PNG but the Pacific at large. He said the focus to increase benefits, stems from agreements reached from meetings, including the recently held Pacific Island Forum Leaders meeting.